What would you do if you shared your faith with someone and it was deemed illegal? Would you be brave enough to take a stand in the public square, knowing that you could lose everything? As believers we face more and more people who tell us we can’t share our faith. We also live in a culture that continually says that faith is a private issue. But, if we are believers, we can’t remain silent, we must be courageous. This is the focus of this week's Explore the Bible study. A 2012 study of Christians in our country indicate that the majority of believers remain silent about Christ. LifeWay Research, revealed that 83% of believers surveyed are hesitant to let others know that they are Christians (See complete report). I pray that our study of how Peter and John boldly shared the gospel among a crowd that was growing more and more hostile will encourage and challenge us to no longer remain silent or passive about our faith! What words or phrases describe the response of those in power? Why did it provoke such a response from leaders? What positive responses did they witness? What if you were placed in a semi-circle of 71-plus key community leaders and asked why you were sharing your faith? How would you respond? Why did Luke point out in verse 8 that Peter was filled with the Holy Spirit? What is God telling us by including this in the narrative? How can or should we respond when we are afraid to talk about our faith? Peter did not just give Jesus credit for healing the man. What else did he say about Jesus? Do you think Peter was too confrontational? How exclusive was Peter about the way of salvation? If you don’t believe that there is only one way a person can be saved, would you be as bold as Peter? If you believe that there is more than one way to be saved, doesn’t this make Peter's stand worthless? Would you have said any of this if you were standing before this group? 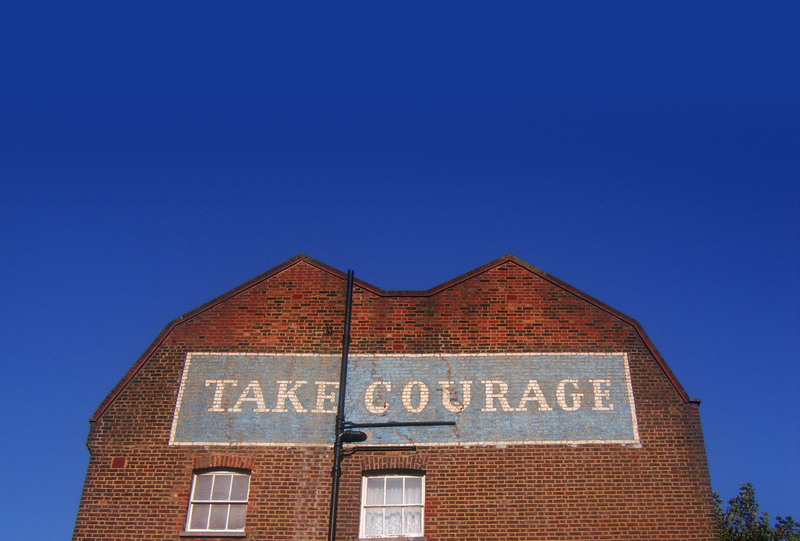 How often do we allow fear to keep us from sharing our faith publicly? How often do we assume we can’t share our faith? Do you believe we still have the freedom to talk about our faith publicly? The following is an illustration that could be used to drive home the fact that many times we assume we can't or aren't allowed to share our faith publicly, when in truth we can in our country. Many times we assume we can’t talk about our faith. If you were a federal employee you would have guidelines for how you could express your faith. Which of these do you think are allowed in the federal workplace? You may keep a Bible or other scriptures on your desk and read it during breaks. You may observe the Sabbath or other religious holidays. You may wear religious attire, religious jewelry, or clothing. You may meet other employees for religious study and/or prayer during lunch in a conference room that is scheduled for use on a first-come, first-served basis. You are permitted to engage in religious expression directed at fellow employees, and may even attempt to persuade fellow employees of the correctness of your religious views. Proselytizing is as entitled to constitutional protection as any other form of speech. In informal settings, such as cafeterias and hallways, employees are entitled to discuss their religious views with one another. During a coffee break, one employee can engage another in a polite discussion of why his faith should be embraced. One employee can invite another employee to attend worship services at her church. In a parking lot, a non-supervisory employee can hand another employee a religious tract urging that she convert to another religion lest she be condemned to eternal damnation. Answer: All of these are permissible in the federal workplace as long as it is not viewed as government endorsed or, in the case of personal conversations, the wishes of the individual to stop the conversation is respected. We actually have it very easy in the United States. God has given us a climate in which we have the freedom to share our faith. Sadly we forget this and move about among those without Christ, strangely silent about the gospel and the relationship we have with Him. This is not the case in other areas of the world. What if you faced what this family faces in regard to sharing faith? Would things be different then, or would we cave in to the persecution? 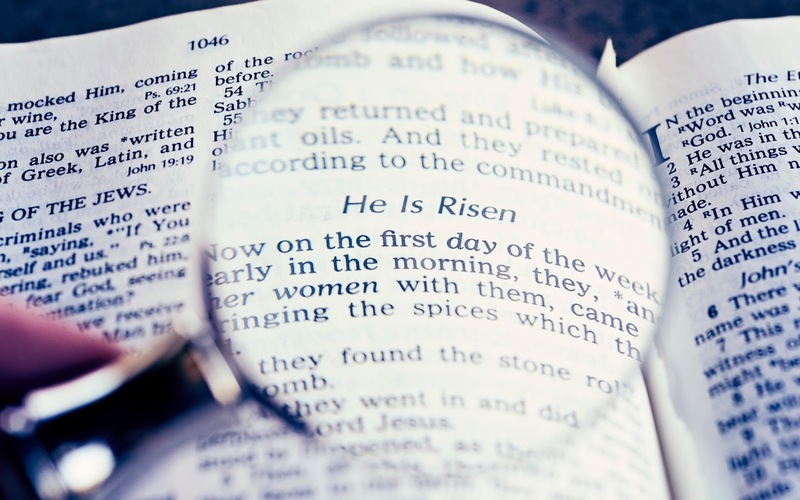 Explore the Bible Study: Resurrected! The risen Christ separates Christianity from all other religions! I find it interesting that those who might scoff at, or doubt Christ's resurrection still look for some kind of hope for themselves in the afterlife. These same people will say that their loved ones or friends have "gone to a better place" or are now looking down on them from the "big house in the sky," while scoffing and doubting the resurrection of Jesus Christ. You see, in the recesses of every human soul God has placed a desire, a curiosity, or a hope for life after death. It is this longing that should point us to Jesus Christ, the risen Savior! He doesn't just offer the promise of eternal life but a life filled with hope, joy, and peace through a personal relationship with Him. That is the focus of the Explore the Bible study: Resurrected! The resurrection of Christ was the crowning sign of His claim to be the Messiah. The faith of those who followed Him was not misplaced. Jesus was the Son of God, and He brought them salvation and hope for the future! Explore the Bible Extra Teaching Helps: Download the PDF. Video Interview of Josh McDowell: Evidence for the Resurrection. Enjoy the following video as you consider the hope we have in Christ because of what was described in Luke 24:6-8. How would you respond if our church suddenly added 3,000 people at one time. How would it affect our unity? When the early church saw their numbers swell from that small gathering of around 150 to 3000 from just one sermon, it must have been amazing, yet challenging. Just as the Holy Spirit had empowered them and demonstrated His power through them as they boldly proclaimed the gospel, they now had to depend on Him to remain unified with all these new people coming to Christ from so many different backgrounds. The Explore the Bible study: "Unified," is going to focus on this very important topic this week. Imagine them encountering family and friends in the temple courts and sharing their faith in Christ with them. Imagine them inviting neighbors and friends to join them at their homes for food and Bible study and to gather together to hear one of the Disciples preach. Imagine the excitement they had about sharing their faith in Christ in the marketplace where people came to shop and sell. Imagine how passionate they were about getting to know and caring for all those who were being added to the church. Imagine if this were you and if this were our church today! Identify the four activities that expressed their devotion. Were these community or individual pursuits? What does this communicate about being a member of a local church? How does being devoted to these actions keep a church unified? Could they have done this without the empowering of the Holy Spirit? Why or why not? In what ways does our church demonstrate these actions today? Look over this list again. How devoted are you to pursuing these actions as a part of this church? If these aren’t a priority what does this communicate about you? How do these passages describe their "togetherness"? What can we do, as church members, to learn about and respond to the needs of people in our church family? What is our church’s reputation for unity in our community? Would you say our Bible study group is “together” based on how we respond to the needs of people in our group? What was the result of their unity? Why do you suppose fear was mentioned as one of the responses? Was fear express by the believers or those watching? 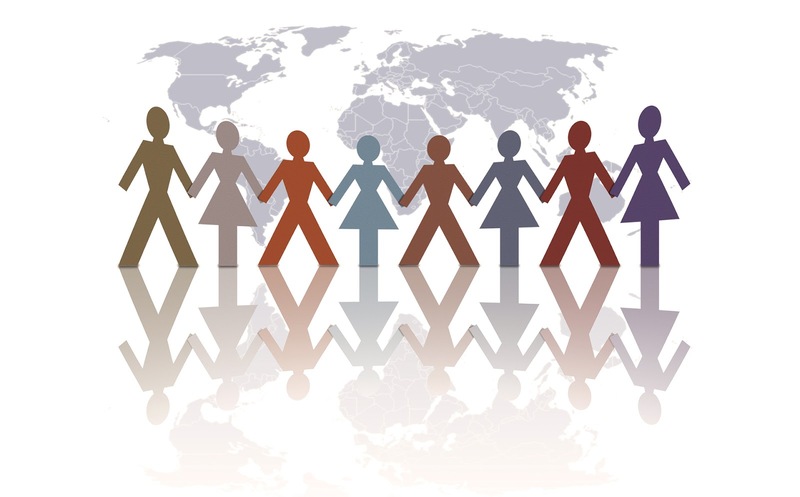 What if you were an unbeliever looking in; how would you have responded as you observed this group of people from all walks of life working together in love and unity to care for one another? The most important result of their unity was that "every day the Lord added to them those who were being saved" (Acts 2:47)! What do you need to do to capture the unity and passion of these early believers in your life? After the Dropbox file opens choose DOWNLOAD and print once it is downloaded. 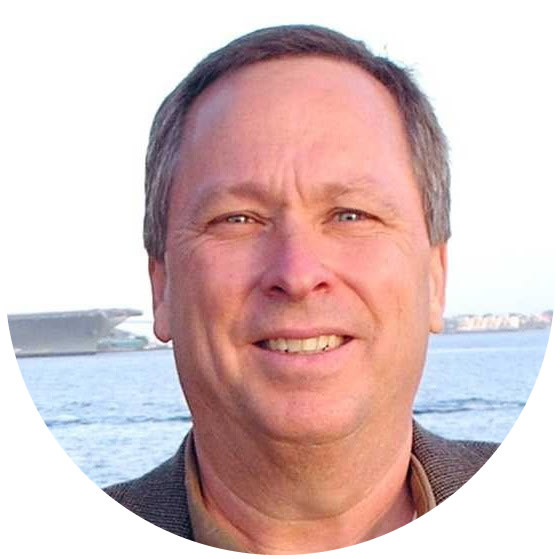 Ken Braddy, a friend and great thinker in the field of Christian education, recently posted an article that builds a case for smaller groups. Bible study groups struggle with this challenge continually. It is a "Catch 22" for most groups. A healthy group will grow and growth isn't bad. But with growth comes the challenge of knowing when a group grows too large. It is counter intuitive for us to think that we should create a new group instead of continuing to capitalize on the growth of a current group. But, eventually growth will become detrimental to a group. Here are Ken's 6 reasons smaller groups are a good idea. I hope it helps you consider if (1) You should lead your group to start a new group or (2) You should help your groups understand the value of smaller groups. Smaller groups can meet anywhere - A group of 12 people (which I would consider to be "about the right size," give or take a few) can meet in any on-campus room at the church, and they will fit comfortably in someone's living room. Smaller groups help people connect - People are "social Legos" and have only so many relationships they can give their time, attention, and energy to supporting. Each of us has only so many connections we can make (and keep). Smaller groups tend to help people "Lego up" with one another and connect relationally, in part because of the room arrangement (people sitting in a circle see one another's faces and this helps form connections, as opposed to people sitting in classrooms with many rows of chairs facing the front of the room). Smaller groups are easier to teach - Have you ever tried to recruit someone to teach a large "pastor's class"? It takes a special person with special biblical knowledge to teach such a large group of people. When that person steps down, moves away, retires, etc., finding a replacement can be just about impossible. Small groups keep people from falling through cracks - One of the jobs of a teacher-leader is to act as a shepherd for their group. I teach a group of 16 adults weekly at my church, and between my full-time job, my role as a husband and father, and other responsibilities, it is all I can do to minister to this smaller group of adults! I cannot imagine trying to teach and shepherd a group of 30, 40, or 50 adults. Small groups are places where discipleship takes place - Jesus taught and ministered to large groups, but His favorite method for making disciples was investing in 12 disciples, not 100 disciples. Even within His group of 12 there was an "inner group" of 3 men with whom He spent even more relational time. Jesus' model was to use a small group as the basis for discipleship. Somewhere along the way, we've gotten away from this biblical example. A teacher who disciples his people knows each of them, their needs, their shortcomings, and what each one needs to progress in their journey toward Christ-likeness. Read the complete article and check out more from Ken Braddy at kenbraddy.com. As believers, we depend on a power source that comes from the indwelling presence of the Holy Spirit. His empowerment is with a purpose that transcends our personal needs and desires. It is for the purpose of helping fulfill the impossible - to be witnesses to the world about the gospel of Jesus Christ (Acts 1:8). This is the focus of this week's Explore the Bible study, Empowered. In our study of Acts 2:1-15, we will examine all that took place to those who obeyed and waited on God. We will examine their response to the work of the Holy Spirit as God inaugurated and empowered His church for the mission of being witnesses in Jerusalem, Judea, Samaria, and to the ends of the earth! Their mission is our mission. They were empowered, and we are empowered by the Holy Spirit! I discovered two great articles that help us understand the vital importance of the church moving forward to share the gospel with the power of the Holy Spirit. You might find them helpful as you study Acts 2. The IMB: How Did We Get Here, by Randy Davis, Executive Director of the Tennessee Baptist Convention. Kelly Calls Southern Baptist to Intentional Evangelism and Disciplemaking, the Gatekeeper, New Orleans Baptist Theological Seminary. Read: Acts 1:14. Why was unity and obedience so important for this group? Considering why they were waiting and the expectation given to them earlier in Acts 1:8, what do you suppose they were praying about? Through prayer, personally evaluate whether you are as committed to this kind of unity. Suppose all of us who are believers were this united in prayer today; what might be different about the church? About our culture? How much of our prayers are centered on being witnesses in our community and the world or The Great Commission? Do we really expect the Holy Spirit to work through us and our churches today? Do we limit what we think the Holy Spirit can do through us when we assume that those around us don’t or can’t understand the gospel? What should change in our prayer lives, based on the mission God has given the church? What should change in our actions based on the work of the Holy Spirit? What can we glean from this powerful work of the Holy Spirit as we consider the barriers we face today? What does this communicate to us regarding our fears of how people might respond when we witness as individuals; as the church? What do you suppose was included in the message they heard? Do you think they heard the message of Salvation through Jesus Christ? When we think of witnessing, do we think about the specific message of the gospel as something we need to specifically share, or do we think of only doing good works and being kind to everyone? Brainstorm everything you know about Simon Peter. What does what we know about Peter communicate to us regarding God's forgiveness and the Holy Spirit's empowering? How might these statements indicate that we are disobeying or aren’t trusting in the Holy Spirit to empower us to be witnesses? We need to be careful how much we say; they might not like us. We don’t need to share the gospel with people because they don’t want to hear it anymore. We need to build relationships with people with hopes that they will follow Christ one day. Witnessing to people without first knowing them is just not the way to go. Doing good things for the needy is how we share the gospel. They will see Christ through the good works that we do. We need the right event with awesome lighting, speakers, and music to get these people excited about God, and then they will respond to the gospel. We need to wait for people to attend our services before we share the gospel. If they want to hear it they will come to church. We should certainly seek to understand those to whom we are witnessing, and live a life that reflects the goodness of Christ but that isn’t all there is to being witnesses. We should seek to provide a quality environment for worship and Bible study when possible. But, what is more vital is to understand that we are to be witnesses and that we are empowered by the Holy Spirit to be witnesses anywhere, anytime, with anyone in any environment. Recently I built an addition onto my storage facility, and I needed it wired for electricity. There was only one problem--we had no main power run to the building. I decided to go ahead and wire the shed anyway, in hopes that, one day, I could run a permanent power line. 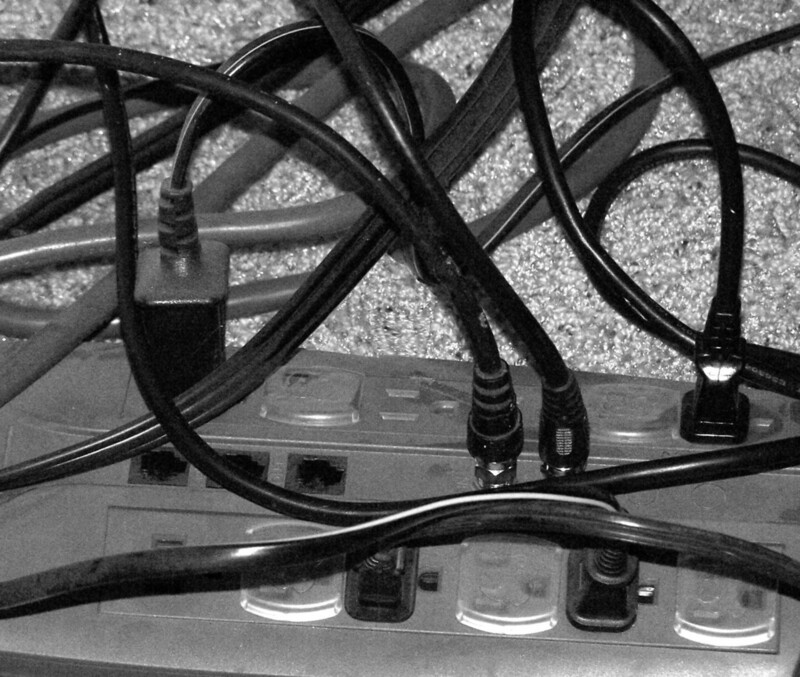 Until then I would just use a very long extension cord. Through that experience I realized some principles that could be applied to connecting people to the church, particularly those who aren't already attending. Principle One: We have to prepare for people who will visit our church. When wiring the building, I tried to determine what lights and outlets I would need. I then had to determine the best path for the wiring and the best placement for the outlets and lights. What is the welcoming atmosphere in your church? Hopefully it will be an atmosphere that expresses the love of Christ and the joy we have in Him. How will people connect to the church? Evaluate the flow patterns in your facility to see if adults can find guest parking and can find their way from parking into the building and to the auditorium, classrooms, childcare, and restrooms. Provide convenient and marked parking as well as opportunities for guests to be greeted—consider stationing greeters in the parking lot, entry way, auditorium, and classes. How will you tactfully and accurately gather information so your leaders and Bible study groups can follow-up with guests? How will you communicate with first time guests after they visit? Are there steps you can create to help everyone know what to do when communicating? I am very proud of the deacons in my own church. They have taken on the role of developing First Contact teams. They deliver gifts to guests' homes right after worship on Sunday afternoon. Their intent is not to visit in the home but to just introduce themselves, or, if the residents aren't home, to leave a welcome package. How will your Bible study groups get connected to guests who don't visit a group? We assign every guest to a group for follow-up. This involves a phone call invitation to the group and a visit at some point. How will the pastoral leaders be involved in follow-up? We assign every person to a staff member for follow-up and seek to keep accurate records on the results of visits. Principle Two: Determine ways to keep a permanent connection with the unchurched. Remember the extension cord to my storage building? I needed a more permanent connection. What is the permanent connection that helps your church remain connected to those who visit and to those who aren't yet connected to Christ or His church? The permanent connection is a simple yet seemingly more difficult discipline that most church members struggle with; it is the simple act of developing relationships with the lost and then offering them the invitation to follow Christ or at least attend church with them. Lead adults to passionately embrace the opportunities they have for inviting people to Christ and His Church. These opportunities might be parents who are discovered through Vacation Bible School, unchurched adults who attend a men’s or women’s event, or adults who are discovered through a local mission project. 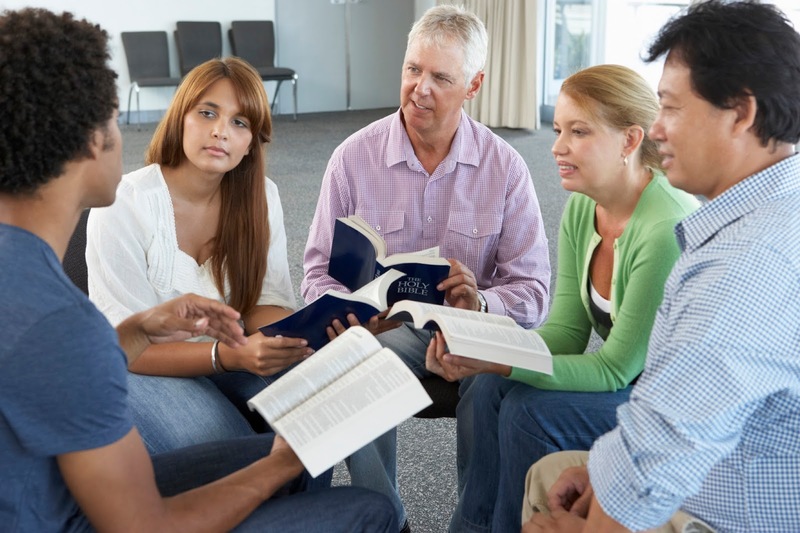 Develop and teach a follow-up plan to your adult Bible study group leaders. Teach adults that every activity (sports, school, work, community, and so forth) is an opportunity to connect with people who need an invitation to Christ and His church. Principle Three: You need one primary connection. My storage building only needed one main line in order for the entire building to have power. There needs to be one central place that will provide a continuing connection to the unchurched. Your Bible study groups are that connection! They are vital to helping the unchurched and guests get connected to the church. They are the main connecting point for building ongoing relationships with the unchurched. If adults in your groups aren't passionate about reaching out to the unchurched, inviting them to their groups, and welcoming guests who attend their groups, then your connection to the unchurched will be very weak. Principle Four: We have to experiment and try again. I ran permanent wire to the storage building and everything worked until I turned on the air compressor. I discovered that the power line couldn't handle the load. We had to make adjustments to the wiring and add separate and stronger circuit. As you watch your church connect with the unchurched you will discover places that aren’t working correctly. Adjust the process, add a new Bible study group, do additional training, communicate better, or do whatever is needed in order to make the connection work properly. God has placed your church exactly where He intends it to be. There are people all around the church who so desperately need to connect to Christ and His church. We should continually be evaluating how we can better lead our churches to make, strengthen, and keep these connections strong. We have been entrusted with the message of the gospel, so how well are we doing? We know that, as believers, we receive the Holy Spirit and He empowers us as witnesses. We know this intellectually, but are we expressing this in our daily walk as we are expected to? This is the great challenge we will focus on today as we begin our study of the Book of Acts in this week's Explore the Bible session, Entrusted. We are coming together, not just to study the book of Acts, but to seek understanding that will help us live out our faith as the early Christians did as they overcame political, racial, cultural, and socio-economic barriers to share the gospel. It was more than a personal choice, it was the transforming power of the Holy Spirit in the lives of obedient believers that enabled them to share with confidence, courage, and compassion to everyone, especially to those who weren’t like them. For Acts 1:6-8: Can we get caught up in looking toward the Second Coming as much as they got caught up in an earthly kingdom? Can we miss out on what Jesus expects from us now because we are always looking toward the future? What was to be their responsibility once the Holy Spirit had come? (To be His witnesses.) Do you think they were surprised when He emphasized the expectation that they were to be witnesses? For Acts 1:9-11 or for LOOK OUT (Application): What are examples of how believers might get caught gazing upward when we need to be witnessing to those around us? How well are you living out the mission Jesus entrusted to His followers—to tell everyone about Him through the power of the Holy Spirit? Does the future hope you have in Christ cause you to boldly proclaim the gospel? If not, why? Does the future hope you have in Christ help you overcome any fear you might have of sharing your faith? If not, why? Does the fact that those who don’t know Christ will be separated eternally from Him in Hell motivate you to share your faith? If not, why?